V and Co.: V and Co: we're moving! Congratulations on finding a job. What as exciting adventure for all of you! The best part is they you get to do it all together. Gorgeous pictures! And the house looks very 'you'. It's even gray! So excited for you guys. How exciting! We live in the Cedar Valley area and it is wonderful! We just moved here in December and have been trying to figure out all the different things to do with our kids. There are lots of fun places out this way from movies too if that is something that you like. We have been to Mason City where they did The Music Man and Dyersville where they did Field of Dreams. If you are in the Cedar Valley neither of those places are too far. Welcome to the neighborhood! Your new home is beautiful! I'm originally from CR! It's still recovering from the massive 2008 flood, so it's still not quite up to par, but I think you'll enjoy it. Suggestions for you: eat at Zio Johno's immediately and get the spaghetti. Be forewarned, though...it's like crack. Also try some sweet corn (not from Zio's, but just in general). The CR Art Museum has the world's biggest collection of Grant Wood artwork (and his studio is in CR, too). Head to Iowa City for lots of indie shopping. One of my all-time favorites is Artifacts, the *killer* local vintage shop. Ray Gun (located in Des Moines and IC) has hilarious Iowa-based t-shirts and other products. For a fun shopping day trip, head to Galena, IL (just across the border) for lots of variety in mom and pop stores. your new house looks great ~ a blank slate for you to start fresh ~ didn't realize your husband's name was Jake...that's my friend Joy's husband's name as well... :) hopefully she has some good suggestions for you out there!! P.S. Yes, Iowa is very safe. Maybe not quite up to leaving your doors unlocked or anything, but pretty close. I went to Jefferson High School and it was a great experience. (Of course, that was 20 years ago, but I can't imagine it would be that different now.) For other ideas on what to do, pick up a Friday edition of the Gazette and check out the Weekend section. There's a farmer's market somewhere, too, but I haven't lived there for 11 years, so I'm not 100% sure where it is now. If you're interested in anything specific, let me know and maybe I can answer your questions for you. Wishing you all the best! Personally, I love moving... crazy, I know! Keep the pics coming... Iowa looks beautiful! Good luck on the move! Glad to hear all the great news. Iowa is very lovely, I've driven through it quite a few times (seriously, like more than 20 times). The cities are safe and the people are very friendly in my experiences. The midwest is beautiful, and the people wonderful. Yay for Iowa! We lived in CR awhile, now we live on the other side of the state. Cedar Rapids is a great transition to the Midwest. Pretty progressive city, lots of hipsters. Not sure if Thai Moon is still there but it is the BEST restaurant in town. Don't forget to check out czech village and of course the Amana Colonies aren't too far away. Good for you for going for the dream job. We're still working that "I can't take one more day of unemployment so lets just take what we can get" job. Lovely. Glad I got to meet you at the Quilt Market Meet Up before you left UT. Good luck. Everything looks amazing! May you be blessed in Iowa. It shows in your post that you are careful for your family and take great thought in the big life decisions. 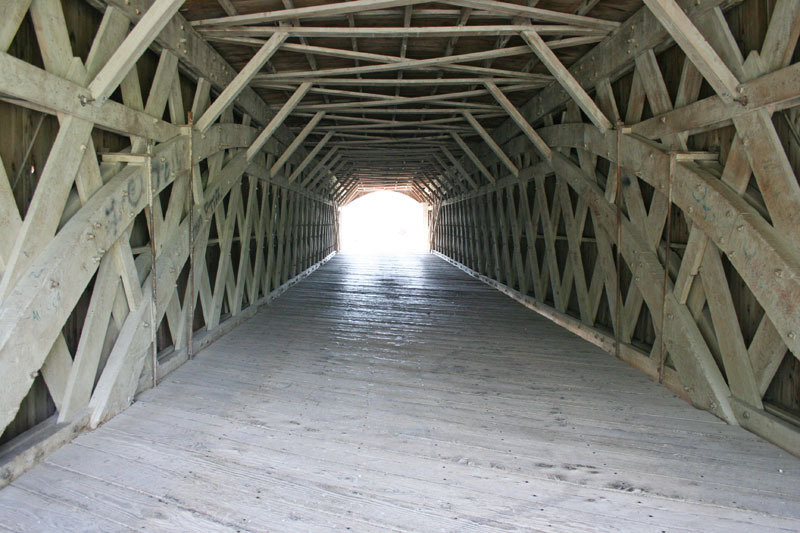 I love the house and I love covered bridges. I hope it's just what you are wanting for your family & your life! I don't know much about Iowa except that my boyfriend's friend is always trying to get him to move there because he loves it so much. I am moving just five kms from one house to another and finding it traumatic! so can understand. I cant believe the stuff we have accumulated for 15 years in one house! I must be such a relief to finally have that settled! Hope you like Iowa. I had no idea your husband is a MFT. My hubs is almost done with his PhD in that. I also had no idea there was a program there. CONGRATS!! I have a sister that lives outside of Des Moines and loves it. We lived there for 3 years (my husband wasn't a fan, but I could have stayed). We moved to be closer to both families (had twin infants at the time). The have WONDERFUL healthcare there! The Des Moines farmers market is amazing! I've never been to Cedar Rapids, but I'm sure it is as beautiful as the rest of the state! I know you must be so glad to have a place to settle. I know nothing about the midwest (I'm a Southerner) but wish you all the best. The pictures sure look lovely! Congrats!!! You will LOVE Iowa! I am from Iowa and I have lived all over and my husband and I never want to live anywhere else. We live in Des Moines and love it but we lived near Cedar Rapids when we were first married and loved it there too. You will seriously never want to leave. It is an amazing place to raise your children and to live in general. Best of luck! Ok, I moved to northwest Iowa (the opposite side of you) from Seattle 23 years ago. I can't quite say I am used to the humidity yet, or the frequent thunderstorms, but the people are awesome! They are indeed friendly and kind through and through. People don't hesitate to talk about church here, they will offer hot dishes, and they love things like snickers salad (which my family says is not really salad :) Des Moines is a lot of fun, but even better, you will be fairly close to Seattle and Minneapolis--museums, plays, etc. My best to you and your family for your new adventure! 1) you are now *that* much closer to me - probably you should come see me next summer (road trip) and go to a real beach! where it's soft and sandy and the water is warm. 2) Iowa was always my favorite state to drive through on our many east coast - Utah treks. I always thought I would like to live there. 3) I'm so happy for you!! I grew up in Iowa--you will love it! The schools are great, people are friendly, cost of living very reasonable. I am kinda jealous! Congratulations! Its been a journey for sure but it looks ike you have settled on the perfect home! Wow! Looks like a gorgeous, safe place to raise a family! Congrats! Love the bridge! I want to go there now! Congratulations on finding a job that is just right for your family. I don't know anything about Iowa, but I'm sure you'll find lots of great people there. Wahoo!!! You're going to love it. It's a big change, and you'll DEFINITELY miss the mountains, but the midwest is a good place to live. Congrats and welcome! I live in Illinois, and think the Midwest is the best in the land. (I've only lived here, so no a huge basis for comparison, but anyway). As someone mentioned, you are right near Galena which is gorgeous. Chicago is fantastic. Such a great town with so many things to do. I think the best part about the midwest is the people. You have many happy faces and friendly neighbors to look forward to. Welcome! Congrats on finally getting a chance to settle down. As far as not having much to move, I have been reading zero waste home blog and the Johnson family lives with very little. You can always say you are "living a zero waste life". Congratulations on your new chapter. It sounds like a wonderful decision was made. I'm so excited to find out you're moving to this area. I'm in mid-MO. Go Tigers! Your kids are going to love the summers here! Can't wait to see what quilts come out of your new house. Maybe our paths will cross in a quilt shop someday :). Welcome to Iowa! 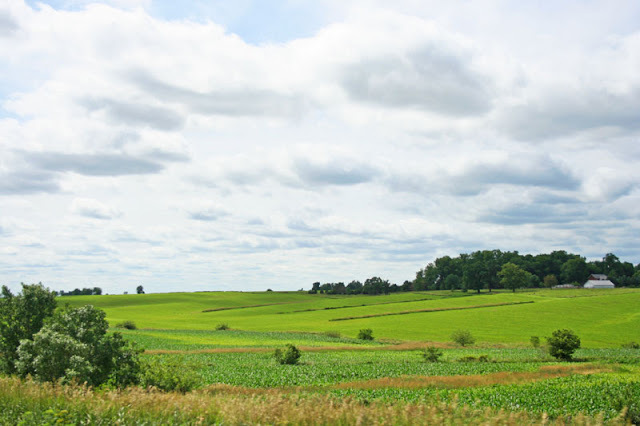 I'm a lifer...i try to convince my husband that there are many other great states to live in, but he believes that the only real life is in iowa...amongst the corn fields and piles of snow!! you're going to love it here...i'm 1.5 hours to the south of you...don't get to cedar rapids that often, but know that it is a wonderful city...there are so many things to do here with a little travel involved...you can get anywhere you want to go within a couple of hours...my number 1 MUST do...the IOWA STATE FAIR...august 11-21 this year...i know you're moving, but it's totally worth a couple of days...this will be my 31st year, and there's no place i'd rather spend my summer vacation...another must...the UNI Dome craft show in Cedar Falls...it's ENORMOUS...October 15th this year i believe...you're also crazy close to Dubuque and the Mississippi River Museum and Aquarium, great place for kids and get history...county fairs in iowa are hard to beat...you'll miss most of them this year, but be prepared for next year!!! the great jones county fair (monticello)always has FANTASTIC entertainment. let me know if you're looking for something to do...i'd be glad to help out...if it's in the state, i've been there or been by it!!! congrats on the move...you're really going to love it!! Yea! I was hoping you would be moving to Iowa. We live just north of Des Moines in small town Huxley. Wow I could go on and on about Iowa...congrats on your move to one of the best places. "It's not heaven, it's Iowa"
Congratulations!!! It sounds like you have made some awesome, sound decisions. Best of lucks of an easy move and a gorgeous new house. Hopefully soon you will have time to take a deep breath, put your feet up, and just be. Congrats! I love Cedar Rapids...my Mom was born there, and I still have quite a bit of family in Iowa...all over the state, actually. I haven't been back for a few years...but wow...congrats! you will love iowa! i've lived here all my life. i'm in davenport now. there is an amish community a little bit southwest-ish of iowa city that has some pretty cool quilt shops....you'll have to check that out. all in all, iowa is a great place to raise a family. I grew up 40 miles from Cedar Rapids and have most of my family still in Iowa. It is a great place to raise kids. I think Iowan's are pretty even keel and decent people. It's a mellow but stable life. I hope you quickly make friends. I wish I was still around to welcome you and give you a big hug and say it will be all right. My most favorite quilt shop in Iowa is in my hometown of Dysart, IA. It is small but has a great selection of modern fabrics. Your post is making me miss Iowa right now. A combination of happiness for you, nostalgia from me (and a maybe a dash of PMS) has brought tears to my eyes. Best, best, best wishes!! hooray for limbo being over! i hope that all goes well with the rest of your move. the new house looks awesome. I totally called it!To myself, anyway! I was born in Iowa, but sadly moved away when I was 5. I listed to my older siblings fondly recall memories of their childhood, and I'ma bit jealous. I'm excited for your new adventure! Congratulations to you and your family! The hardest part is making the decision...and then you just "go for it". Wherever you live, you will make it "home". I have never been to Iowa, but it sure seems like a great place. Congratulations! What a relief that must be! My husband and I lived in Iowa for three years - in West Des Moines. It will always, always have a special place in my heart. I miss Iowa so very much. It is where my daughter was born, where my hubs graduated law school, and where the best hair stylist I've ever had was. :) Seriously though, I've never lived in a more family friendly place with the kindest, most helpful people. You're going to love it! i don't live in iowa, i live in kansas. but i have a friend from macedonia, iowa, which is near council bluffs! and we have another friend that lives in waterloo. they both love it! i know there are nice people everywhere, but there's just something about the midwest charm that you just can't beat! the house looks beautiful and congrats on landing a job in a great area! okay, I didn't even read your post, but I'm SO EXCITED YOU'RE MOVING TO IOWA! You know that's only a hop skip and a jump from where I live!!! yay! so happy! Congrats on your move! It's such an exciting new adventure! I have been reading your blog FOREVER! I am born and raised in Iowa, what do you want to know? My husband grew up in Cedar Rapids. Good Luck navigating that town confuses the heck out of me still after 10 yrs. We live in Ames, now, home of the Cyclones and Iowa State University. CR is fun, we visit there every month or so! Congratulations and good luck! I've only lived in utah my self, but it sure sounds like a fun adventure! Hope everything goes well for you! I grew up in small town Iowa(I mean really small, as in 800 people a bar and a gas station, and no stoplights at all) and I loved it. I, personally, don't want to live in small town Iowa ever again but I love Iowa. I now live in Des Moines and couldn't be happier. I did a 4 year(college) stint in another mid-western state and loved it as well. If you're moving in August you CANNOT miss the state fair. It's a must and for a newly minted Iowan, you have to make the trek. If not this year( I understand moving can be a bit time consuming) but it has to be a must in the near future. I think you're going to love it. Congratulations! I'm sure you're very relieved to have all the uncertainty settled. Now for all the excitement of moving and being in a new place! Welcome to the Midwest! We live about 3 1/2 hours northeast in Wisconsin. If your kids have never had a snow day, they should get used to them now. The joys of midwest cold & snow :) I hope you enjoy it; we sure do. Everyone is pleasant and easy going. Can I say welcome to Eastern Iowa!! I live just two hours from Cedar Rapids or CR as it's lovingly shortened! If you need some Eastern Iowa tips email me, also if you're looking for fun stuff to do email me too! I have all sorts of ideas for you! Welcome again, and like they they say in the movies; is this heaven? No, it's Iowa! Congratulations! I grew up in Iowa and went to Coe College in Cedar Rapids. It's just down the street from Mt. Mercy. You will love Cedar Rapids! They have a great Bernina quilt shop called Pine Needles (http://www.pineneedles.net/store/pc/home.asp) and not far away is Marion,IA where there are a couple of small quilt shops and Zoey's Pizza. They have the most amazing Taco Pizza. (http://www.zoeyspizza.com/) Best of all they have not one but two Super Targets! I'm from Lanesboro MN a little town close to the Iowa border. You will like the Midwest! Being so close to Minnesota you will have to check out the Mall of America in the Twin Cities! If you are enjoy biking you could always check out Lanesboro! www.lanesboro.com we have lots of fun things to do here! Enjoy your new home! Congrats to you and the entire family! I am a born and raised mid-westerner and I love it (ok, I may be a little biased). Iowa is just as friendly as Missouri. My bestie lives in West Des Moines and we visit often :) Now, go see if you can find some winter coats on clearance somewhere...you are gonna need them!!!!! Best of luck to you! I grew up on a farm about a half hour from CR. You are going to love raising your family there. Have a safe move. That's so great! I bet you'll enjoy Iowa. And you'll have that home decorated in no time!! I am so excited for you!! What a great adventure!! Think of all the new thrift stores and barn sales in your furture!! Yea for Iowa! We lived in Iowa for 6 & 1/2 years. I went to law school at U of I and we lived in Tipton, a tiny town about 1/2 hour south of Cedar Rapids! CR is a nice city- we bought our furniture at Smulekoff's downtown. I recommend checking it out, as well as the IMAX theater! In the summer there's a fun Taste of Cedar Rapids festival. Ooo, and you definitely have to see the Cedar Rapids Symphony! You'll be very close to Iowa City which is also a great city with lots to do. You're moving to a very wholesome yet culture-filled area of the country-I bet you'll love it. Enjoy!! Congratulations! Iowa is fantastic. Midwesterners are wonderful, friendly, helpful people, and Iowa is a great place to raise a family. I may be a little biased (raised in NE, now living in IA), but I think you will be happy with the new location. YAY! Welcome to Iowa!!! Its an awesome place to live, I'm so excited for you guys and your new adventure! Yes, like everyone else says, EAT THE CORN!!! You won't believe it!!! And try to make it to Des Moines at least one saturday morning for the Farmer's Market before it ends in the fall, its amazing! Again, welcome and we're happy to have you with us! I grew up in Kansas City and Omaha, spent years in St.Louis as well. You'll love everything about the midwest...except the humidity. It'll kill you some days. :) Best of Luck. Say hello to my people for me! Welcome to the midwest! I was born and raised in Iowa... and only got seven miles over the border into MN. I feel so blessed to raise my family in this region. It is safe, the people are friendly and we have world class health care around here. You will be coming to Iowa during my favorite time of year.... the corn will just be tasseled and you will get to experience the whole fall season... the sights, the smells and the weather. I am so happy for your family. I hope you love the region as much as we do! 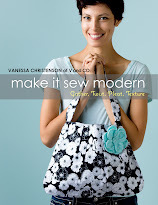 Vanessa, you and yours will love the Midwest. As a transplant there are somethings that will take some getting used to. Without the mountains, it's hard to know where your going. Streets may change names with twists and turns (hm, maybe that's just Missouri?!) Ditches are to take all of the water away, and there can be a ton of it. Storms can be tremendous, huge, and will strike awe right to your very heart (be sure you have a basement or other place to go to be safe.) More water means more wildlife (and by wildlife, I mean bugs.) The summer heat and humidity will change how you spend your time and when you do things (early mornings out and afternoons in are best.) Your hair may become frizzy but you'll need less conditioner. More water also means that it's green here, really green most of the time. Farmers wave with their fingers while they are driving and they wave at everyone, you'll find yourself doing it too. Temple attendance takes more planning, but of course totally worth it. Welcome to the Midwest, from Mid-Missouri. CONGRATS!! Sounds like the perfect job and perfect house!! I enjoyed living in the midwest (Madison, WI) much more than I thought I would. (I grew up in San Diego). It's beautiful most of the year and the people there are genuinely nice and caring. It's great! Congratulations, you'll love it. I'm a California girl, born and raised in San Diego County but to move to Kansas 5 years ago and would NEVER go back! Enjoy the fireflies, they still make giddy every summer!!!! Yea for Iowa! I have lived here my whole life. I was thinking you'd be over in the Iowa City area by the hints of your last post! I also agree with the Iowa State fair. I loved going every year with my family! I think there are crystal caves over by Cedar Rapids as well if your family hasn't ever been to any before. Hopefully your move goes smoothly! How exciting for you and your family. Good for you for holding out for the right job and for doing what you did to get the right house. How exciting. My in-laws live in Iowa and I love visiting them in the summer. Just watch out for ticks. I got a nasty one last year. If your husband is into hunting he is going to love it. Try the corn and also make sure you get the taco pizza at Happy Joe's. I wish we had a Happy Joe's in Utah. I was born and raised in CR! Moved away in 2000, but still consider it home. That is awesome. Congratulations!!! I have to admit, I was, am a Californian, born and raised. Thanks to my hubby though (military) I have experienced so many other places to live. Each time we moved it has been difficult, sad and very stressful. But everytime we arrived it has been wonderful experiencing all the things I would have never had teh pleasure of experiencing otherwise. Have fun and enjoy the ride. I am a born and bred eastern Iowa and I love it here! Congrats on your move! Congrats on the move! My husband and I live in central Iowa and have for the past few years. I hope the move is smooth and you enjoy your new home. I grew up in Southeastern Iowa and many of my friends went to U of I and settled in the Cedar Rapids area. They love it! I always felt Iowa had a good open, non-judgmental viewpoint of the world. Education is fabulous and life is paced well. Best wishes there... I know you will love it. I think Happy Joe's is on its last leg. The one over by the Collins Rd area is gone, and so is the 16th Ave location, but I think the Lindale one is still going. Deanna, I think you're talking about Kalona (quilt shops), which is a Mennonite community. I hear they have good cheese and candles there, too. I wondered if you would say "Iowa!" Yay! 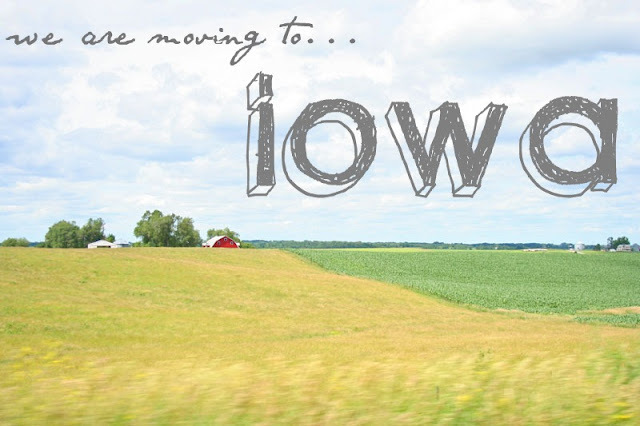 I'm from the pacific NW, but have called Iowa City home for the past 15 years. It's beautiful, the fireflies ARE fun, and a great place to raise a family. You'll have to visit IC, too....not too far from CR, and lots to do here. Congratulations! Your new home is BEAUTIFUL! You will have so much fun decorating and making it your long term home. Honestly, starting with hardly any furniture will probably be exciting! You'll get to start from scratch and just get what YOU want, instead of being stuck with things you bought ten years ago at a garage sale and never really liked that much anyway. My family is from Missouri, we've spent the last 15ish years in Idaho, except now my husband and I live in West Virginia. You can find good people, good places and good food all over the country! Even in Iowa! We lived in Des Moines when my husband was in school and loved it. You will love Iowa. There is so much to do for kids and everything I have seen is very family friendly. Congrats! I wish you the best in beautiful Iowa. I visit two years ago while going to Boston. I grew up in NW Iowa until moving to MI to marry my husband. The people are very friendly and helpful. I miss the slower pace of life, the big open skies, people who don't know you waving hello, etc. I smiled when I read "gorgeous rolling hills" in your post because I feel the same way. Iowa is really very beautiful! People in Michigan always ask me, "What did you do in Iowa growing up?" We do/did the same things that people do all across the country! Maybe someday people will ask your children that same question! Random reader here...grew up in Utah, married a man from Virginia, and lived in West Des Moines for 4 years while he attended med school there. You'll love it there. It's clean and beautiful and SO family-friendly. And, the public schools are some of the best. Good luck! Best wishes for your move to Iowa! 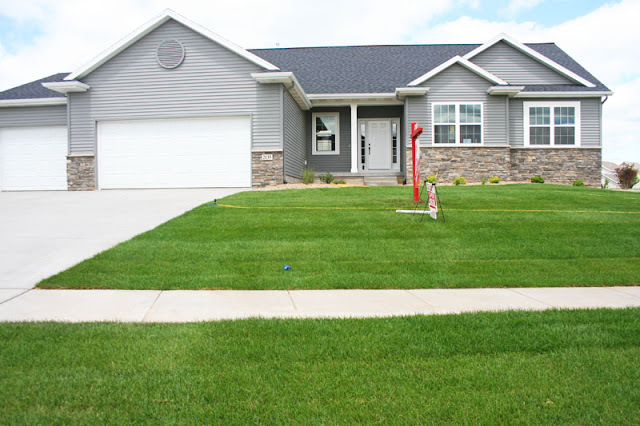 We lived in south central Iowa for 5 years, while our children were in grade and high school. There are hot air balloon festivals in Ottumwa and Indianola, we went to the Ottumwa one, was closer to us and it's not as big but was fascinating....like HUGE fireflies...teehee. There are also huge man-made lakes in Iowa, we lived near Lake Rathbun, nicknamed Iowa's ocean, it's huge, can rent boats, jet skis, go camping etc. We are originally from PA, so we missed the mountains while in Iowa but we loved the big, open skys, night time was like sitting in a planetarium...you could see stars from horizon to horizon in all directions. We lived "in the middle of no-where" so it was really dark too, I guess that helped. Although our children went to a very small school, 300 students in PreK-12 grade, they had so many opportunities through local, district and state competitions for speech, music and jazz band, we saw alot of Iowa traveling to competitions. Of course you need to try the local produce especially the corn :) and you must experience the state fair, once was enough for us, but at least we can say we were there! Thank you so much for sharing your issues picking a job. I'm going through a transition after 9 years of teaching. While I have only a few jobs open to me, I'm being picky about my assignment and I'm at risk of not getting anything. After so long, it's tough to settle on something mediocre (or worse, stressful) just to get a paycheck. I was starting to second guess this strategy but your post has made me feel a lot better. With a little faith, everything will be ok. I wish you happiness in you new home and work! our friends live in Cedar Rapids and LOVE IT! Good luck and HAVE FUN! Estou muiiiiito longe,no Brasil,só posso desejar felicidades e muita sorte para voces.O mais importante é que a família esta juntinha para o que der e vier.Muito sucesso para voces. Congrats! Those things in life we sometimes call "mistakes" are actually lessons. Because, after all, we are all life-long learners. Watch the movie too!BOMC!!! Dyersville and still have family in that area. I love the midwest. We did grad school in Wisconsin before moving to Alaska for a real job. The people are so super nice, the green is refreshing after a cold winter, and the fireflies and bug noises beat any fireworks ever. Good luck and congratulations!! Congratulations on the job and the big move. You will love it once you're there and settled in. Do you possibly recall from our emails a week or so ago and me telling you that one city that was under consideration was 5 hours south of me? Well, this one, even though it is in another state is actually closer and only about 3 hrs from us. Great looking house. Even if the house is bare for awhile, you have a house and hubby's got an awesome job. And the kids are going to have new experiences that will be fun for them AND for Mom since they will all be new to her too never having lived in the Midwest. Welcome to Iowa!!! The best place to raise a family. Trust me you won't regret it. Good Luck with the move. You can go to Field of Dreams too!!! Welcome to the Midwest! I'm in Nebraska so we're neighbors of sorts. Its a good place to raise your kids and midwesterners are good people. Congratulations on the new job and the move. I think you will like it there. I grew up just an hour away from CR. My folks are still there and I have 2 brothers who live in CR. We are thinking of moving back that direction. It's home, after all, and I have been away too long. There's lots to do in CR and the surrounding area. The shopping is pretty good too! Enjoy!!! big congrats on the job, the move and the house - absolutely gorgeous. all the best for the upcoming move. My husband served part of his LDS mission in Cedar Rapids. He says it was one of his favorite areas! Awesome! Although I was voting for Utah! :) Do I get to see you before you leave? Congratulations to you both!! Please don't forget us in California. We love you too! Welcome to Iowa..... you'll love it here! I moved to Iowa in 1993 from Minnesota..... and before that I lived in Wisconsin. Iowa has the friendliest people! The winters might take some getting used to..... :) as do the mosquitos and the humidity in the summer......other than that, it's a great place to live! Congratulations! Love the house. But... you really need to paint the front door. lol It needs some color. I'm sure that's one of the things on your list. Thinking Red, Yellow, or green. Just try it. Your new home is lovely and I am sure with your homey touch it will be perfect! How exciting! I currently live in Indiana, but lived in Iowa for some time. I always call it home. It is a great place to raise kids. I wish you many blessings as you and your family embark on this new adventure! I'm totally excited for your new adventure. Your new house looks amazing! I've never lived anywhere but California...matter of fact I still live with my Mom. I'm sure you'll do great! I have some family in that area, including my cousin who also has young children. I'm frequently envious of the cool things she has nearby to do with her kids. I can't think of any specifics, but you can check out her blog and see if any of the things are close to you! http://saflings.blogspot.com/ Congratulations! Woohoo. Glad you guys found a house. Looks fabulous. How is it that you got a house before us...we seriously need to nail this down. I am excited for you guys. The midwest is fun for sure. I am so happy for you to know where you will go. I love the house!! I love the bungalow- my dream house is a ranch style bugalow with a walk out. All the best. 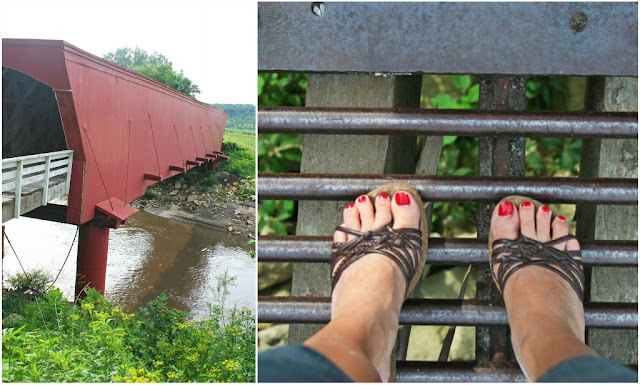 I moved to 10 miles east of Cedar Rapids a week ago and have loved following your blog. I'm still figuring Iowa out, but look forward to hearing about your adventures and sharing some of mine! You will LOVE Cedar Rapids! I was born and raised in Scottsdale, AZ (I live there now) so I am a west coast girl too but my husband and I lived in CR for two years. He was a minor league baseball player and played for the Cedar Rapids Kernals (the single A team for the Minnesota Twins) right there in CR. If your kids are baseball fans you MUST check out some games (even if you aren't baseball fans, the games are so much fun - and cheap!). They play almost every day from March to about September, the stadium is A-MAZING and they have really great events and entertainment. There's also a pretty great water park I think up in Waterloo, you should check out the 'real' Field of Dreams (where the movie was actually filmed) and Chicago is not too far away. Enjoy!!! I have lived my entire life in the Midwest (KS, NE, and MO). Although it's been a great experience, I cannot wait until I can leave here and move to the coast. Weather changes frequently. Be prepared for EVERYTHING at all times. I hope your house has a basement. Tornados are a big Midwest thing. Mosquitos are awful creatures and swarm the Midwest. Don't try to have straight hair. There is too much humidity. In the summer, prepare to be soaking in sweat within five minutes of being outside because of the humidity. If you have allergies, good luck. Those are all of the bad things that you should be prepared for, but there are thousands of good things. I'm not going to tell you what they are because that's half of what makes them so good. P.S. I totally guessed Cedar Rapids area from your last post. The midwest is a wonderful place to live and raise a family. My fiance's family is from Iowa and it is a great place. Like the last poster said, be prepared for some really crazy weather that changes at the drop of a hat... But also be prepared to feel incredibly safe. Also, become a Hawkeye fan! GO HAWKS! Depending on when in August, you might miss our sweet corn season, but come next July our sweet corn will top your list of things to eat!!! Don't buy it from the grocery store, buy it from a roadside stand. That's the little guys and they have better corn for a better price. We are about 60 miles west of Mt. Mercy, which by the way, has an excellent reputation! I am a lifelong Iowa resident and I can't imagine living anywhere else. There are a million fantastic things to do! The furthest east I go for quilt shops is in the Amana Colonies. GREAT PLACE!!! If you would ever like to meet up for a quilt shopping expedition and great german food, drop me an email. And WELCOME to Iowa! We are glad you are here!!! I am happy you found a place in Iowa. I've lived here all my life and love it. You will have to watch for when The Bridges of Madison County has their yearly festival. Can't remember when it is but it's fun and lots of activities. Des Moines is a great place too. I have 2 children living in that area. Oh I just started reading your blog. I've been here in Cedar Rapids now for 7 years and it's a nice town. Des Moines is a few hours away and Minneapolis is only about 5, close enough for a weekend getaway (about the same for Chicago, too). I look forward to seeing what you find in our town. Downtown is still getting over the flood we had a few years ago, but it's getting better. You will LOVE Iowa! Nicest people, great corn, stinkin' long cold winters BUT equally long, roaring fires at night! So happy your hubby got the job he wanted - Iowa will love you and your family! I am so happy for you and your family! I know this has been such a heavy weight to bare and it sounds like the exact door opened and the exact time! Don't you just love that ??!! I love your new home! It so looks like you and will be a wonderful place to raise your family!! A giant congratulations and huge blessings to you all!!! Welcome to the Midwest! Glad you are moving here! My (now former) boss moved to Iowa a few years ago. He has been trying to get me to come visit. He said the state fair is really great. It's something I'd love to do someday. Good luck with the relocation! Congrats on the new house and big move from a fellow Iowan! We live in Dubuque, a bridge away from Illinois and Wisconsin, right on the Mississippi river. I know you will love the midwest. I grew up in Missouri, but spent many happy summers on my great uncle's farm in Iowa. Good luck. Hope you all love it. I am so jealous! I LOVE this area. Been sight seeing through Iowa several times with my RV. So many cool antiques, beautiful scenery, bridges :) and don't forget Fons and Porters! We even ate at the tiny diner where Clint Eastwood filmed part of the Bridges of Madison County at. Saw the stool he sat in and everything :) Good Luck with the move! Wow! Congrats and best of luck! My husband is from Iowa and I am from Ohio. We live in California now. A stone's throw from the beach. I love it here but there will always be a part of me that misses the Midwest. There's just something about it. Your mention of fireflies had me tearing up a bit. Some times it's the little things about home you miss the most. How exciting for your family! I hope your children have as much fun catching fireflies in the yard as I did as a child. Good luck with the move. My sister and her husband live in Ames, IA where he is a professor. They love it there. I don't know anything about Cedar Rapids, but I am sure the people will be as nice there as in Ames. You do know what Iowa stands for right? Iowa Owes the World an Apology? Hey - I can say that as I was born in Des Moines and Iowa-ains know the best Iowa jokes. Kidding aside, very beautiful (flat) state - I escaped to MN and now am in WI - but it's all good in the midwest!!! You will love it and it is a great place to raise kids. Fantastic house too! I am so glad this are working out for you! It sounds like you made a great decision for your family!! Congratulations on finding a new home! My sis lives in CR and LOVES it! There is so much to do there. I'm always jealous about the cool things they have going on! We live outside of Des Moines. Love it! I would have to second or third a visit to the Iowa State Fair is a must do event. And..you must have some sweet corn that you buy from a farmer's market or a street vendor. Oh..and sledding down a really big hill after a winter snowstorm. I am so happy for your move and the new job. The house and scenery look fantastic. It would be cool to hear something about Iowa when you get settled. Good luck! Congrats on the new house! I'm a new reader (via Little Birdie Secrets) but I'm also an Iowa City resident and grew up in Des Moines. You'll love it here. Be sure to make it to the State Fair in August if you can. Iowa City has tons of great shopping and restaurants. 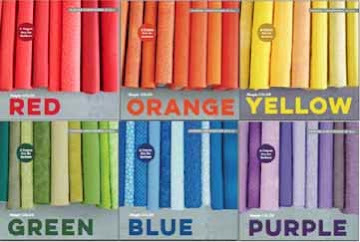 Check out Home Ec Workshop, a great little fabric & yarn store. Good luck with the move. Congratulations! I went to Mount Mercy (when it was still Mount Mercy College) - everyone is very friendly and you'll love walking around campus. Cedar Rapids has a ton of activities for your family as well! Congratulations!!! What an answer to prayer. It's amazing the blessings we can experience when we truly have to walk in faith, not knowing how it will all work out. My parents lived in Cedar Rapids for a short while as young marrieds in the early 70's. They're Texans and had been living in Michigan and Ohio for school. My mom still talks about what a lovely place Cedar Rapids was and how much she enjoyed their short time there. You are going to love Iowa!!!! We will be lucky to have you!! Congratulations on the move! Congratulations!! I grew up in Northeastern Iowa. You are going to love it, I did not learn to appreciate the beauty of it until I moved away. You need to find a local Amish community (all over in Iowa) and try all their yummy jams and baked goods! Really everyone is quite friendly there so get used to everyone waving as you drive through the countryside. Pella Iowa has a fantastic tulip festival in the spring with all the dutch fixings. There are so many other fun things to do! Hope you enjoy! LUCKY YOU! My husband grew up there and I served a mission in Iowa (no, that is not how we met). The people are fantastic. The winters are a bit brutal but totally worth having a great, safe place to raise your kids. Good luck! If you ever get a chance to go over to Iowa city it is a great town. And the Amish country outside of it is very interesting and educational. my kids have been obsessed with the Music Man -- you need to netflix the Matthew Broderick version -- it all happens in River City Iowa (maybe you already know this) and you'll like the song "You ought to give Iowa a Try!" My in-laws live in Iowa and I ALWAYS say "I could live here" when we visit (Des Moines). We lived in Missouri for a few years (and I'm an Idaho/Utah girl) and I loved it -- met some of my BEST friends there (including my dear Megan from Quiltstory!). I really think you'll love it. What an exciting adventure for all of you! Congratulations! We moved to Iowa last year, actually to Iowa City just 20 minutes south of Cedar Rapids and we love, love, love it. The winters are freakishly cold, but other than that we have no complaints. The people there are soooo nice and friendly and everything is very family oriented. I am sure that you will love it. My husband and family grew up in Des Moines and Sioux City. They have OUTSTANDING schools!! The people there are very solid, sensible and stoic. Not the gossipy type, more the mind our business but we're here if you need us type. One of the best getaway spots in the state is Lake Okoboji!! We live in Alabama and we still go up there for family reunions! Spirit Lake is gorgeous....not the Gulf of Mexico, but hey, it's convenient. Your children will have a nice normal childhood. My husband says get involved in a good church, as they as they are few and far between. Love it I moved to Iowa for the same resons, I am from across the pond . I am so happy you are moving here i am about an hour away from you, your post made me smile i love your work and i wish my house would look like yours one day i to am a stay at home mum with 3 kids 9, 5 (soon to 6 ) and 2 i do work 16 hours a week a the town library. Our little town with a big heart has a bad time with mother nature but we are getting better and bigger. I wish you all the luck in the world with your new adventure. p.s. just a little saying i keep with me "is this heaven?" "no its Iowa"
Wow, and you just moved too. You will fall in love with the midwest! I miss living there. The best part of the summer? Fireflies. Completely magical...and they make the terrible humid summers (almost) tolerable. Good luck. I just came across your blog -- so I'm not sure how nature-y you and your family are. But I LOVED the Neal Smith Nature Preserve, just east of Des Moines. I lived in DM for a year in college and volunteered at Neal Smith, which is another great opportunity if they'll let your kids do it with you - you get to helps save the natural grasslands. However, they also have educational opportunities for kids, and I'm sure you'd also have a great time just escaping with your family for a long hike through the preserve. Otherwise - make the drive to Omaha to visit the zoo? I've lived here most of my life and still make sure to go at least once a year - it's fantastic! Be prepared for a sadly brutal winter though...I will say- if you can make it through a midwestern winter (I am in Minneapolis) you can make it through ANYTHING! Congrats on the new job!! Hi! Just came across your blog today. Really nice! Then, I see you have moved to Cedar Rapids! I live 50 miles north in Cedar Falls, Iowa. You will love Iowa. It is beautiful and there are plenty of fun shops. I hope you're enjoying Iowa! I live near Chicago, and a few years ago, one of my good friends had breast cancer. When she beat it, she moved back to Iowa. She said, "Short as life is, I'm going to spend it in a beautiful place!" Quite the endorsement, wouldn't you agree? Your house is so cute, I'm going to look for posts to see how you've made it your own! I know this comment is almost a year late but I just found your blog. Love it! And of course I had to search out where you lived in Iowa cuz I grew up there. And I grew up in Cedar Rapids! Love that town! I miss Iowa and the wonderfulness of the Midwest. I hope you love it too! Good luck!